I think this is a naughty puppy. Red or Sable? Loves me some puppy photos! Eeee! Love them! I love, absolutely love naughty red puppys. They are my favorites and that one is a darling. I wish I had room for another I would beg and plead for that one. Just a darling pup. Polly says they are now all escaping their puppy condo. She is really having a lot of fun with them. How adorable! I love watching them grow! Pretty sure that baby is red. So darn cute! How adorable!! I’m starting to get sad…our little ones are going to be leaving in the next week or two, but I know it’s time and they will have great homes. On a scale of one to ten, they go to eleven. Aren’t all bad puppies red? I think Leslie is right, red = naughty… And I think that puppy is red. If it was sable, it would have shown right at birth, then fade away and the pup looks red again. Then about 15-16 weeks, the monks cap can reappear. Kane is registered as a red/white, because his breeder had not had cardigan pups before, and did not know to look for the sabling as a fresh pup. Oh well, I still call him the big red dog, even though he’s really sable. 🙂 Cute babies! They are beyond adorable! I remember when our puppies first discovered how to escape. We kept the lead troublemaker – Aphrodite. Eight years later, she’s still doing naughty things. Oh my gosh, those puppies are just about the most darling little guys I have ever seen, you could say they are the Magificent 7. Thanks for the smiles. They are pretty wonderful! I can’t wait to see them next weekend. Awwwwwwwwwwwwwwwwwwwwwwww!That is one of the most cutest puppies I ever saw! I think the pups are absolutly adorable!!! I wish I could have one!!! My family and I were wondering if they are still available for sale!!! 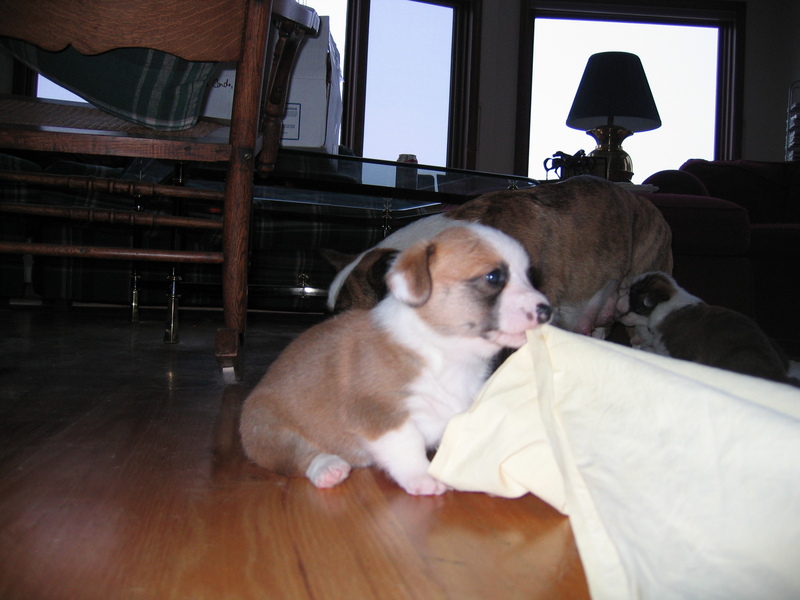 We have been looking for a corgi for a long time!! If so, please contact us!! thank you!! Actually those puppies in that photo are over a year old now. That was when our Frost was a baby. 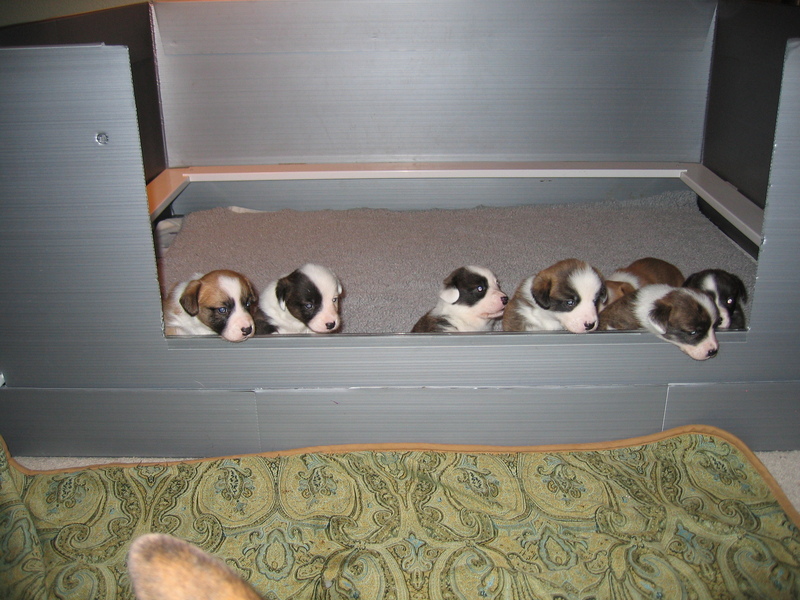 If you are interested you might check with my friend Harry he has one cute baby left out his last litter available to the right home http://www.arylan.com.